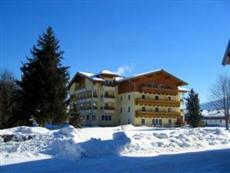 The Das Urbisgut is located in Altenmarkt im Pongau making it one of the best hotels to stay at while in town. The Das Urbisgut boasts a convenient location with modern amenities in every guestroom and superb service. Each guestroom features amenities such as bathrobes, television, bathtub, shower, separate shower and tub, balcony/terrace, satellite/cable TV, DVD/CD player. The amenities and services offered at this Altenmarkt im Pongau accommodation include elevator, safety deposit boxes, disabled facilities, business center. Leisure and sports facilities available on the hotel's property comprise massage, indoor pool, jacuzzi, golf course (on site), gym, sauna. This hotel is characterized by a combination of modern comfort and traditional element of Altenmarkt im Pongau, making it a distinct accommodation. To proceed with this reservation at the Das Urbisgut, please enter your visit dates and follow our secure online booking form.